Home Your Family Is the drinking water at your child’s school safe? Is the drinking water at your child’s school safe? Fewer than half of U.S. school districts test their drinking water for lead, according to a federal report released this week. But among those districts that do test, more than one-third found elevated lead levels in their water. The report by the Government Accountability Office (GAO) follows a renewed public health focus on lead since the 2015 environmental disaster in Flint, Mich., where a switch in water processing caused a spike in the percentage of children testing high for lead poisoning. Lead poses serious health dangers for children, including impairment of memory and thinking skills, as well as behavioral problems. There is no safe lead level in children’s blood, the CDC says. Even low levels can affect IQ, a child’s ability to pay attention, and classroom achievement. No federal law requires schools to test for lead. Several states and the District of Columbia either require such testing or offer incentives for it to be done, but Georgia does neither. Legislation to require testing passed the Georgia Senate in 2017, but did not get traction in the House. Last year, Georgia Health News surveyed the 20 largest Georgia public school systems on their lead testing policies. GHN found many differences in how school systems evaluated their water quality in fountains and sinks — if they had done any testing at all. The GAO report is based on a survey of 549 school districts across the United States. It estimates that 41 percent of school districts, serving 12 million students, did not test for lead in the water in 2016 and 2017. Of the estimated 43 percent that did test for lead, about 37 percent reported elevated levels. 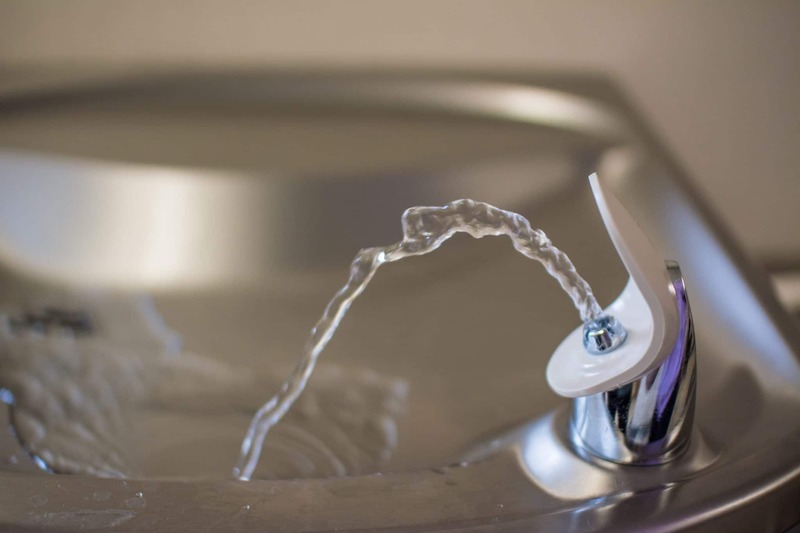 All districts that discovered lead problems reported taking steps to reduce or eliminate children’s exposure to lead, including replacing water fountains, installing filters or new fixtures, or providing bottled water, the GAO report said. Sixteen percent of schools said they did not know whether they had been testing for lead in their drinking water, the report says. The GHN survey last year found that of the 20 largest Georgia public school systems, just six had tested multiple drinking water sources in each school. Seven had done no recent testing at all. Others said they were planning to sample their water sources, or had done limited testing. Here’s a link to our report. The report from the GAO said all school districts that found elevated lead in drinking water reported taking steps to reduce or eliminate exposure to lead, including replacing water fountains, installing filters or new fixtures, or providing bottled water. Of the school districts that didn’t test their drinking water, about half reported that they did not identify a need to test, and about half pointed out that they were not required to test. The GAO said its staff also conducted site visits or interviewed officials in 17 school districts in five states, including Georgia. At least eight states had required schools to test for lead in drinking water as of 2017, and at least 13 additional states supported school districts’ voluntary efforts with funding or in-kind support for testing and remediation, according to the EPA. The GAO report said the U.S. Department of Education and the EPA do not regularly collaborate to support state and school district efforts on lead in drinking water, though they agreed to do so in a 2005 memorandum of understanding. Such collaboration could encourage testing and ensure that more school districts have the necessary information to limit student and staff exposure to lead, the report said.